I was recently contacted by someone needing advice on how to go about getting in-house roles within UK publishing houses. She has no experience and, to date, all of her applications for editorial assistant-style jobs to the large presses have been unsuccessful. Now she's in the process of rethinking her strategy. She believes, rightly, that she needs to give herself a competitive edge and is contemplating enrolling in an MA in publishing. The fees are an issue for her, though, so she asked me if this was the only route in and whether I had any other advice to impart. That's a tough one. It’s been some years since I worked in-house, and last time I actually applied for a staff role was way back in 1993, after which I joined SAGE Publications. Things have changed a great deal in that time. In my day, two of the most popular places to look for publishing roles were the Guardian newspaper's Marketing & Media section and The Bookseller magazine. And I'm talking about the print versions of these publications. Mainstream use of the internet or email was in its infancy, Facebook had yet to be founded, and a tweet was a sound that a bird made. In 1993, experience counted – it always has and it always will. Having a degree helped, too (fewer people had these so they made you stand out more and they were a useful way for recruiters to filter the applications). However, the number of graduates looking for entry-level positions in any field is far greater than two decades ago, making the competition stiffer than ever. It's not that it was ever easy to get a job in publishing, but it was definitely easier. So, what about that MA? Would it be a good investment or are there other options? Needless to say, I was wary of offering advice that was hopelessly out of date. With that in mind I asked a few in-house pros what their recommendations were. Here’s a ten-point summary of the advice my staffers had to offer. Yes, its competitive, more so than ever. Some houses are making staff redundant rather than hiring, meaning there’s a higher number of applicants and a smaller pot of jobs. For every editorial assistant job they advertise, one of my respondents receives at least “70+ applications … unfortunately, it’s simply not possible to reply to every applicant to let them know they will not be invited for an interview”. For many organizations, the application rate is much higher. “Short courses at the Publishing Training Centre are a cheaper alternative to an MA, and probably more relevant.” The PTC was mentioned by all of my respondents. If you’re not familiar with this organization, it is highly respected and often the training provider of choice for publishing houses in the UK, not only when they’re evaluating CVs but also when they’re organizing in-house staff training. There was general agreement that MAs are certainly not the only option, though they are one route. Be prepared to start at the bottom and work your way up. Some junior editorial and production staff start their publishing careers in administrative roles such as secretaries, PAs, receptionists, or similar. This route gets you "in publishing", and, once in, you'll have the inside track on recruitment opportunities. More importantly, you’ll have the chance to form friendships with staff in the department you have your eye on. You can learn from them informally, and register a strong interest in any future positions that become available. Internships are increasingly the name of the game – both paid and unpaid, and sometimes several rounds for a number of different companies. They give you an on-site taster of exactly what the job entails. Send in your CV and a letter enquiring about work experience/internships. Anthony Haynes, on his Monographer blog, advises finding the actual names of the relevant people. I wholeheartedly agree. Your letter is less likely to fall foul of the crumple and toss if it ends up on the appropriate person's desk. One of the publishing people I talked to suggested that companies will keep CVs on file for about six months and get in touch if any opportunities do arise. And while you may baulk at the idea of working for free, having no experience can only do you harm in today's market. Publishers offering internships must take care to operate within the law. Unpaid internships are illegal in certain circumstances. See the UK government's Employment rights and pay for interns. If you don’t already have a Twitter account, get one and start following all the publishers you are interested in. This will provide you with a one-stop feed that will inform you when these companies are recruiting or when they are doing an internship drive. Check out all the publisher websites for similar details. Some publishers, like Penguin, run open days for graduates who want to get a feel for the kinds of opportunities available and the skills needed. Attending these can be an excellent way to get valuable advice from those in the know. All of my staffers agreed that top-notch spelling and grammar are absolutely essential! Your covering letters and CVs need to be spotless. "Attention to detail is of the utmost importance … a silly typo or poorly constructed cover letter and CV mark the difference between a positive and negative outcome,” said one of my respondents. Sign up with publishing recruitment agencies like Inspired Selection and Atwood Tate. Some publishers recruit solely through them. They will also be able to give some helpful advice on your CV, interviewing skills, etc. While some of the larger presses such as Random House, Macmillan, Faber and Penguin do regular internships, they naturally attract more applicants. In addition, consider contacting smaller presses about work experience. This can be invaluable experience because in smaller presses in-house staff often have to work within a broader remit. The breadth of your learning experience might well enable you to bring more to the table when you are selling on your experience. I know I don't need to say this, but just in case you don't realize, "small" doesn't equate to "less respected". Small presses are doing mighty things within the publishing industry. One of my local independents, Salt Publishing, has a Man Booker shortlisted author on its books. 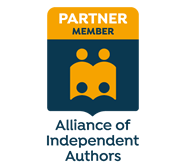 And the Independent Publishers Guild Awards are an annual industry highlight! When I was applying for publishing jobs in the 1990s, I learned quickly that if you want to maximize your chances of success, applying for a job here and a job there won't make the cut. Be prepared to cast your net as wide as you can. I sent a lot of applications – and I mean a lot. I got no reply to most, a "thank you but, no, we won't be taking your application any further" from a few, and the opportunity to interview for even fewer. But I landed a job eventually and once I had a foot in, other doors opened far more easily. The rest is history. Tenacity will always pay higher dividends than narrowly focused pessimism, so keep trying! ​There are no rights or wrongs. You’ll need to be committed and persistent, and the more experience you can gain and the more contacts you make, the better your chances. I hope these tips are useful. Good luck on your publishing journey! With thanks to the in-house publishing pros who took the time to share their knowledge and advice. Thanks, Anthony. I'll add it to the list above!